Julia Hockenmaier is an Associate Professor of Computer Science at the University of Illinois at Urbana-Champaign. She has been on the NAACL Executive Board since 2016, and is currently SIGNLL president. She is also an action editor for TACL, and was an area chair for NAACL 2015, EMNLP 2015, 2016 and 2017. Her research interests span many aspects of natural language understanding, from syntactic parsing and grammar induction with linguistically expressive grammars to image description and entailment recognition. Boy, do we live in exciting times! Since NLP has joined the deep learning revolution, we’ve achieved previously unheard of accuracies on established tasks that make much of “traditional” statistical NLP look as brittle as rule-based NLP must have seemed twenty years ago, and we keep reading about apparent breakthroughs in our field in the popular press, or in daily updates from the arXiv. As NAACL chair, I would strive to make sure our organization makes the most of the opportunities that present themselves as our membership and commercial interest in our work explode, while also addressing the challenges that come with this rapid growth and maturation of the field. In particular, I would like to make sure that our conferences remain events that make it possible for newcomers and established members to meet, interact, and, well, form a community that they want to be a part of. It goes without saying that this should include anybody from the wide range of intellectual, national, and personal backgrounds that (NA)ACL attracts, regardless of whether they are students, faculty, government or industry researchers, or whether they consider themselves computational linguists or machine learning people, or which part of the Americas (or the rest of the world) they reside in. I would also like to strengthen relations with our neighboring disciplines, so that we can share best practices, e.g. for how to maintain double-blind reviewing standards when preprints have become pervasive, or for how to handle the glut of submissions we have to handle. I would also like to strengthen the education and outreach work NAACL does through its Emerging Regions Fund and the scholarships for the Jelinek Summer Schools. Finally, as the technologies we create become increasingly commodified, and receive more and more attention in the popular press, I believe that our community has an increasing responsibility to inform the general public both of the actual capabilities of the systems we create, and of the ethical issues that may arise in their deployment. I would like (NA)ACL to promote the exchange and dissemination of ideas around these topics. Colin Cherry is a Research Scientist at Google. Previously, he has worked at National Research Council Canada and Microsoft Research. 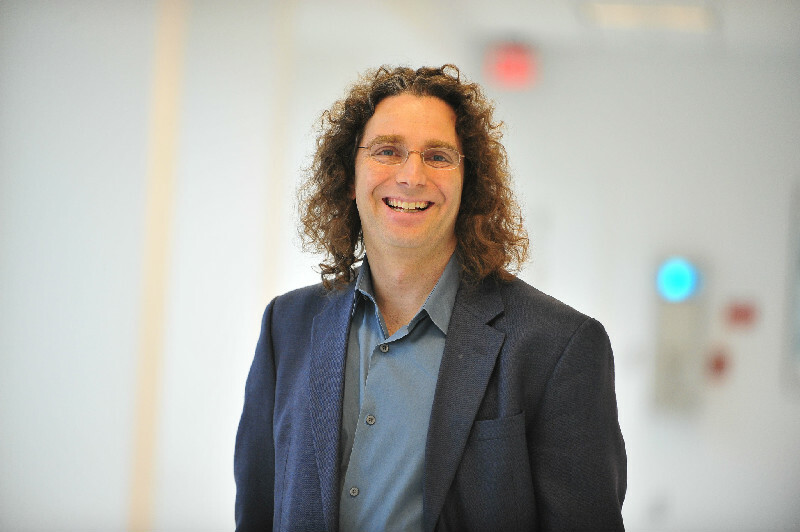 He received his Ph.D. in Computing Science from the University of Alberta. His primary research area is machine translation, but he has also been known to venture into parsing, morphology and information extraction. He is currently secretary for the NAACL and an action editor for the Transactions of the ACL. He has recently served as workshop co-chair for HLT-NAACL 2012, as publications co-chair for HLT-NAACL 2013, on the editorial board of Computational Linguistics from 2013 to 2015, and as machine translation area co-chair for ACL 2014 and IJCNLP 2017. The NAACL Secretary is responsible for helping to organize meetings, elections and general communications, including the website and social media. As secretary, I’ve done what I can to keep these things running smoothly, including managing a shift of naacl.org to a new markdown language. As a board member, I was part of the organizing team for awarding NAACL-sponsored scholarships to attend the 2017 Jelinek Summer School. I am generally happy with the NAACL web site and our election process. The secretary responsibility with the greatest room for improvement continues to be NAACL’s use of social media. The organization’s Twitter account has previously been used only to announce the executive’s direct activities. This year, I will extend the account’s role to aggressively promote the social media activities of the NAACL conference. Going beyond that with social media raises the question of what role, if any, NAACL should play in promoting and commenting on general news about natural language technologies in North America. This question is increasingly important as the impact of our technologies grows. It is not a straightforward question, but it is the sort of thing I’d like to help us figure out if given a second term. As a board member, I would also like to continue to make our conferences family friendly. At this year’s ACL, we made big steps toward this by providing on-site child care. I’d like to also look into providing support to families that don’t necessarily want child care, by providing space or activities to allow children and spouses to get to know each other. I have greatly enjoyed my time as NAACL Secretary, and I sincerely hope you’ll give me the chance to serve for another two years. Joel Tetreault is Director of Research at Grammarly in NYC. Previously he was a Senior Research Scientist at Yahoo Labs, Senior Principal Manager at Nuance Communications and Senior Managing Research Scientist at Educational Testing Service. His research interests include discourse processing, grammatical error detection, automated essay scoring, style, and dialogue systems. He received his PhD from the University of Rochester and was a postdoctoral researcher at the University of Pittsburgh before joining ETS. He is the current NAACL Treasurer, served as Area Chair for NAACL ‘10, ACL ‘15 and EMNLP ‘16, Session Chair for NAACL/ACL 2010-2016, Exhibits Chair for NAACL 2012, co-organized the Building Educational Applications workshop since 2008, and maintained the primary conference calendar for our community from 2004 to 2016. The Treasurer also has duties as a Board Member and I have been part of organizing teams for the annual Emerging Regions Fund and NAACL-sponsored students at the Jelinek Summer School. I have also spearheaded a survey with Fei Xia on how NAACL can help grow NLP in Central and South America, and if elected, I want to use the results of the survey to build ties with the region. Emily M. Bender is a Professor of Linguistics and an Adjunct Professor of Computer Science and Engineering at the University of Washington, where she has been a member of the faculty since 2003. Her primary research interests are in multilingual grammar engineering and deep linguistic processing. She is the Linguistic Society of America’s delegate to the ACL and the faculty director of UW’s professional MS in Computational Linguistics. I believe that science flourishes to the extent that we foster reproducibility, the open exchange of ideas, inclusivity and communication across and within disciplines. As NAACL Chair I would work to continue and expand on NAACL’s excellent track record in these areas while also ensuring the organization continues to run smoothly. Philip Resnik is Professor of Linguistics at the University of Maryland, with a joint appointment at the University of Maryland Institute for Advanced Computer Studies and an affiliate appointment in Computer Science. He received his bachelor’s degree in Computer Science at Harvard in 1987, and his Ph.D. in Computer and Information Science at University of Pennsylvania in 1993, and joined the University of Maryland faculty in 1996. His industry experience prior to entering academia includes time in R&D at BBN, IBM T.J. Watson Research Center, and Sun Microsystems Laboratories. Philip’s research focuses on computational modeling of language that brings together linguistic knowledge, domain expertise or knowledge resources, and data-driven methods, with a recent emphasis on applications in computational social science and other work in computational psycholinguistics, computational lexical semantics, and machine translation. Outside academia, Philip was a technical co-founder of CodeRyte (clinical natural language processing, acquired in 2012 by 3M), lead scientist for Converseon (spearheading development of their sentiment analysis platform, now marketed as ConveyAPI), and founded React Labs, which is commercializing research on scalable real-time response measurement and engagement using mobile devices. There are several issues I’d like to tackle as a member of the NAACL board. The first is how to improve the public profile of the organization. When there’s a question or issue that involves vaccinations, journalists and policy makers want to know what the American Academy of Pediatrics has to say. When there are discussions about gender identity, the views of the American Psychological Association show up. And so on. With the explosion of visible applications of language technology and increased public attention to issues in our domain, why are our organizations and community (NAACL and *ACL more broadly) not the go-to resource whenever people outside the community are seeking a well informed and relevant viewpoint? I’d like to explore ways the organization can increase its visibility and our impact as a community. A second issue I’ve been thinking about – wrestling with, really – is the relationship between academic computational linguistics and the world of industry, especially startups. Questions like, what can we do to better prepare students in our community for jobs that are not traditional academic research positions? What lessons from the industry and startup worlds can we learn from that might improve the way we do research? Significant mobility between academic research training and non-academic jobs is a fact of our community and I’d like to see us add some explicit programming at upcoming conferences to address questions of this kind. Ellen Riloff is a Professor of Computer Science at the University of Utah. She received her Ph.D. and M.S. in computer science from the University of Massachusetts at Amherst, and a B.S. in applied mathematics (computer science) from Carnegie Mellon University. Her primary research areas are information extraction, sentiment analysis, semantic class induction, and bootstrapping methods that learn from unannotated texts. She has served on the Computational Linguistics Editorial Board, Transactions of the Association for Computational Linguistics (TACL) Editorial Board, as Program Co-Chair for the NAACL HLT 2012 and CoNLL 2004 conferences, and as Faculty Advisor for the ACL 2007 Student Research Workshop. It is an exciting time for the NLP community, with rapid growth and widespread interest in our technology! However, we are experiencing growing pains, most obviously in dealing with the increasing volumes of paper submissions and larger conferences. Our reviewer pools have been rapidly expanding, and I would like to see NAACL be more proactive about providing guidance to new reviewers. One direction might be for NAACL to host a free/low-cost workshop or tutorial for young researchers that provides expectations for reviewing and offers general guidance for good reviewing standards. The resulting materials could later be distributed more widely on-line. As our growth continues, I believe that NAACL will also need to rethink the reviewing process. There are no easy answers, but I would encourage NAACL to explore ideas that may scale better than the current model, such as tiered reviewing. Finally, the NAACL conferences have adapted well by having more parallel sessions, shorter presentation times, and large poster sessions. In the coming years, I would like to see NAACL encourage an even greater diversity of research topics and approaches. More emphasis could be placed on the value of highly creative and original research during reviewing, final paper selection, and at the conferences, perhaps by highlighting the most creative/original work in special sessions or adding new types of paper awards. 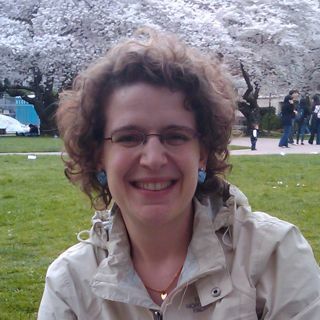 Marie-Catherine de Marneffe is an Assistant Professor in Linguistics at The Ohio State University. She received her PhD from Stanford University in December 2012 under the supervision of Christopher D. Manning. Her research focuses on computational pragmatics. She is one of the principal developers of the Stanford Dependencies and the Universal Dependencies representations. She helped organize the shared task on Named-Entity recognition in Twitter at the ACL 2015 and Coling 2016 workshops on Noisy User-generated Text, and co-chaired with Joakim Nivre the first workshop on Universal Dependencies in 2017. She served as an area chair for ACL 2016. 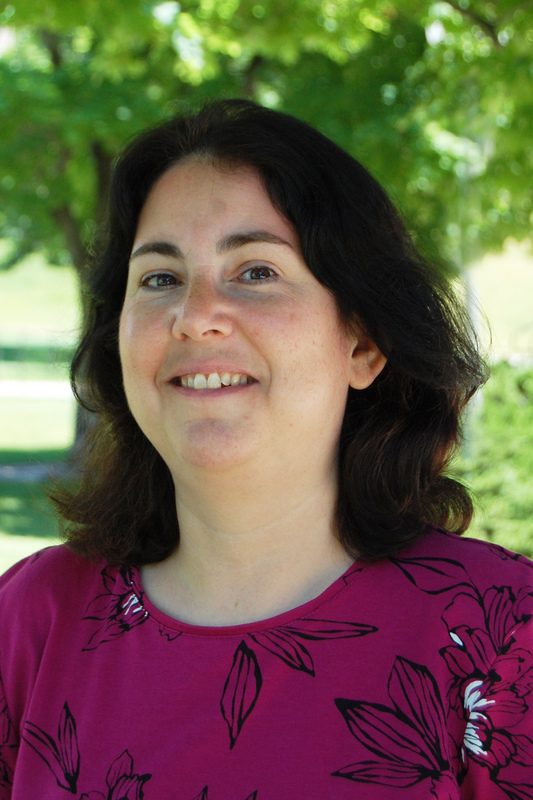 She is currently a member of the NAACL board as well as of the Computational Linguistics editorial board. In recent years, the NAACL board aimed at the improvement of the reviewing process and paper selection, a better integration between different disciplines, and the inclusion of all of the Americas. In the last two years, I have worked, together with other board members, towards these three goals (for instance, Hal Daumé III and I organized the author response survey, which led to recommendations to program chairs; I helped Joel Tetreault with the Emerging Region Fund). By continuing to serve on the board, I can materialize the efforts started. I also want to make sure that our field stays true to its interdisciplinary nature, and stays grounded in the linguistics part of “computational linguistics”. NAACL has to become a better illustration of how research in theoretical linguistics and NLP can complement each other. I will continue to work to make this happen. Marilyn Walker is a Professor of Computer Science at the University of California at Santa Cruz. Her current research includes work on computational models of dialogue interaction and conversational agents, statistical and expressive natural language generation, analysis of social phenomena in social media dialogue, and research on the analysis and generation of narratively structured texts. Walker was a professor of Computer Science at the University of Sheffield from 2003 to 2009 where she held a Royal Society Wolfson Award. From 1996 to 2003, she was a principal member of the research staff at AT&T Bell Labs and AT&T Research, where she focused on statistical methods for dialogue management and statistical natural language generation. She earned a B.A. in Computer and Information science at UC Santa Cruz, an M.S. in Computer Science at Stanford University, and M.A. in Linguistics and Ph.D. in Computer and Information Science at the University of Pennsylvania. This is an exciting time for the NLP community with the rapid growth and expansion in the field. Our first NAACL conference, only 17 years ago, had eight area chairs and received 166 submissions. In 2018 we will have around 65 area chairs with a guestimate of getting possibly more than 1500 submissions. The downside of this rapid growth is maintaining the quality of the conference, along with the potential for change in the culture and feeling of our community. This community has always been one of the most diverse sub-areas of computer science and that is something that is valuable: we have to work to maintain and nourish this diversity. I will continue to support and work on the initiatives that recently resulted in changes to the ACL constitution to enforce more gender and geographical diversity and the establishment of the Women in NLP workshop. We need to make an explicit attempt to value our roots. We could consider establishing a Test of Time award for work published in NAACL more than ten years ago. As we grow we do not want to lose the valuable contributions from scientists in other disciplines that have always had a core interest in human language. Finally, I hope to work towards methods and approaches by which NAACL can explicitly encourage an even greater diversity of research topics and approaches. We need to encourage reviewers to place greater weight on highly creative and original research, and area chairs to prioritize the final selection of papers that are both well-grounded in the literature and very creative. We could expand the idea of best paper awards to have special sessions that would highlight the most creative and original work, perhaps by explicitly adding new types of paper awards. 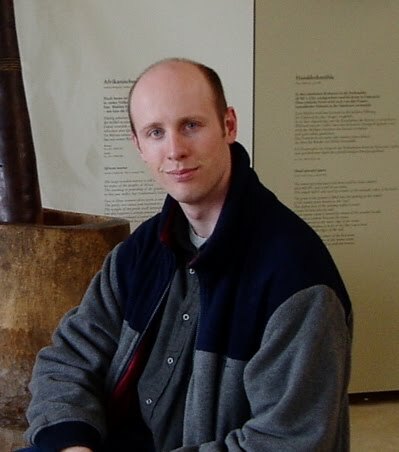 Luke Zettlemoyer is an Associate Professor in the Allen School of Computer Science & Engineering at the University of Washington, and also runs the AllenNLP group at the Allen Institute for Artificial Intelligence. 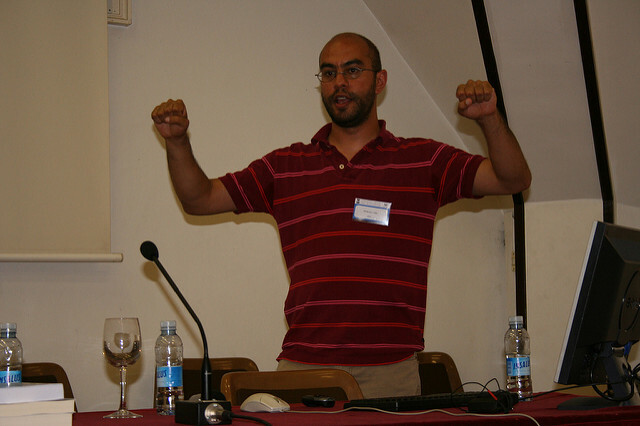 His research focuses on empirical computational semantics, covering a wide range of core language understanding problems such as semantic parsing and coreference resolution. He has served the *ACL community for over 10 years, as reviewer, area chair, and action editor for various conference and journals. He has never served on a board, but would be happy to do so if elected. NAACL is a healthy, growing community. I think that, overall, we should be careful to maintain the high quality of the conference, while making incremental adjustments to improve reviewing quality, inclusiveness, institutional memory, support for interdisciplinary research, and recognition of high quality work.